Welcome! 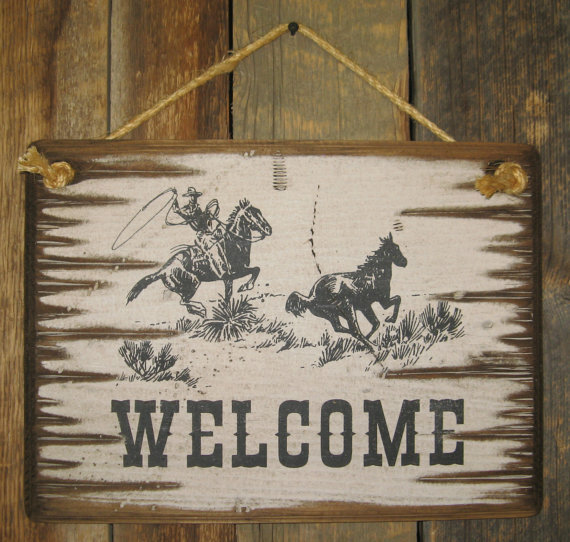 This Welcome sign is a festive way to welcome your guests! 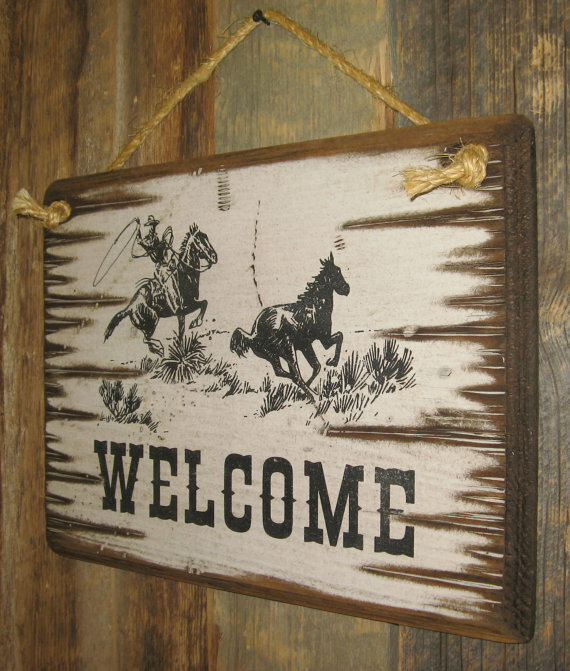 The graphic on the sign shows a cowboy roping a colt. 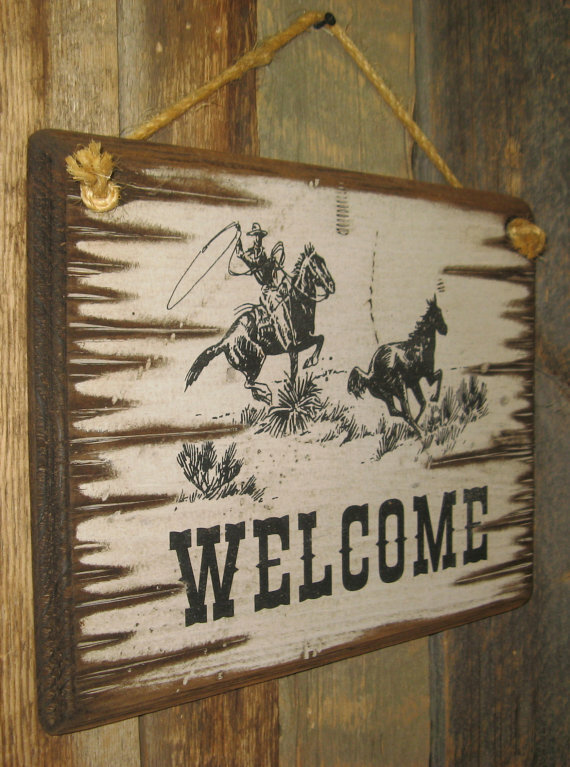 The sign features a white background and measures 11x15. It comes with a grass rope hanger for easy hanging! Handcrafted with pride!